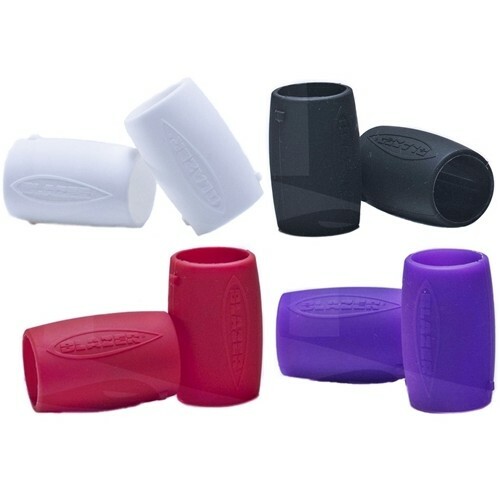 Blazer Torch Nozzle Guard. 2 Guards in a pack. Colors May Vary. 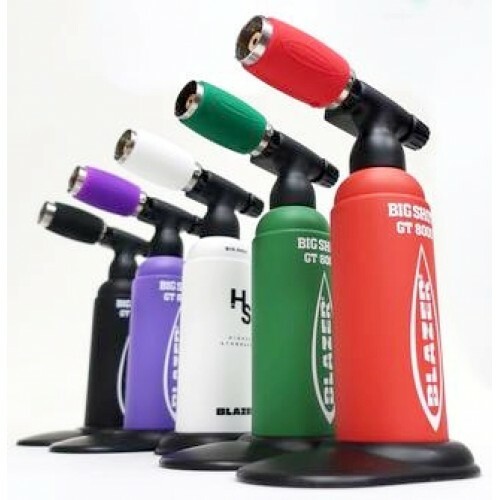 The Blazer Silicone Nozzle Guards fit directly over the nozzle of the Blazer Big Shot as an added layer of protection against accidental exposure to the normal heat transferred to a torch nozzle. 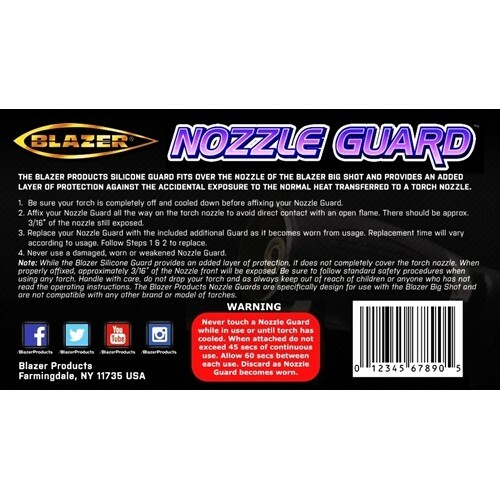 Please Note: While the Nozzle Guard provides an added layer of protection, you should always follow standard safety procedures while using any torch or lighter. Handle with care, do not drop your torch or lighter during use. Always keep out of the reach of children or anyone who has not read the operating instructions.